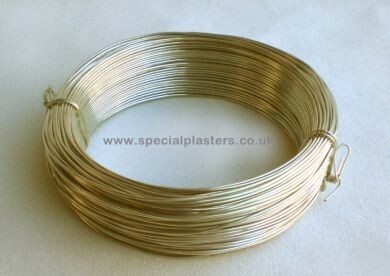 Plated Wire .9mm x 50m. Plated wire 0.9mm diameter. Which can be used for making hangers for plaques etc. or for wiring together formwork, armatures and casts.